In the 1990s, we used to live in India and I developed a real taste for all sorts of lentil and pulse based dishes, and I still like them today. 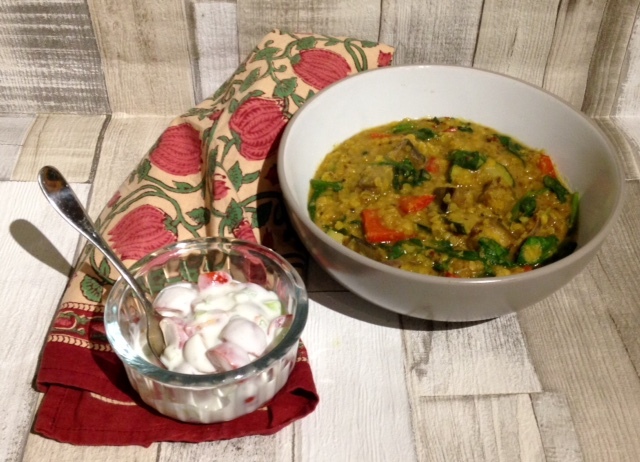 My ‘go to’ favourite has to be tarka dal because it’s relatively quick and easy and you can throw in whatever vegetables you have in the fridge. It’s definitely one of those meals that’s useful at the end of the week when you want to use things up. A slightly soft courgette or a bendy carrot languishing in the vegetable rack undergoes a complete transformation once immersed in a spicy lentil base. This recipe is a real feast for the eyes as the colours jump out at you. Red peppers, courgettes, aubergines, onions and spinach – this is what ‘eating a rainbow’ is all about. Even better, this recipe is fat-free and therefore ideal for anyone on a diet. For Slimming World members, it’s all *free food* based around protein (lentils) and speed food (the vegetables). Purists may say that my version of tarka dal isn’t truly authentic and they may be right. 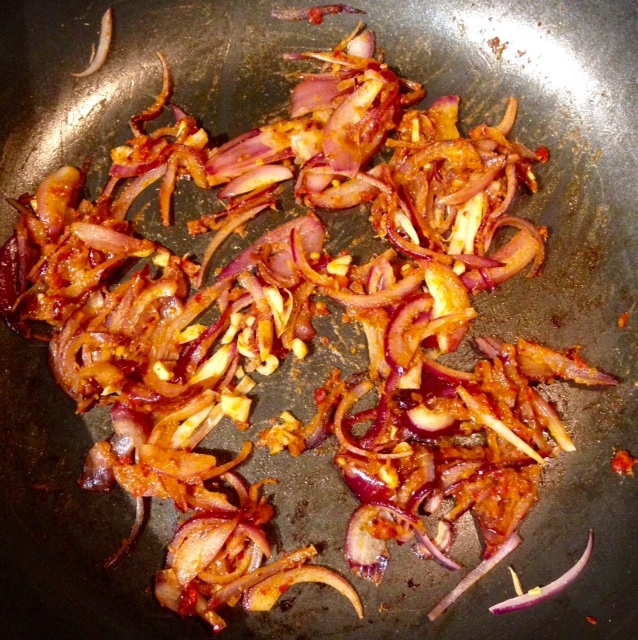 However, it’s a recipe I’ve adapted to suit my taste – not too ‘chilli’ hot but with lots of flavour. I think it tastes amazing and with any recipe, isn’t that what matters? Recipe serves 4 – 6 people. 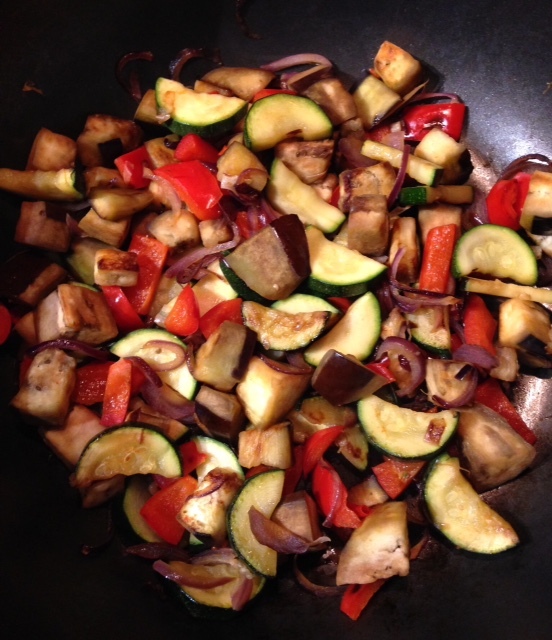 Spray a large non-stick pan with Frylight and add the garlic, onions, courgette, aubergine and red pepper and cook on a relatively high heat, stirring occasionally, until lightly browned. Put pan to one side. In another large pan, add the lentils, turmeric and ginger to 1 ½ litres of water and bring to the boil, stirring occasionally. Skim off any froth as it appears. 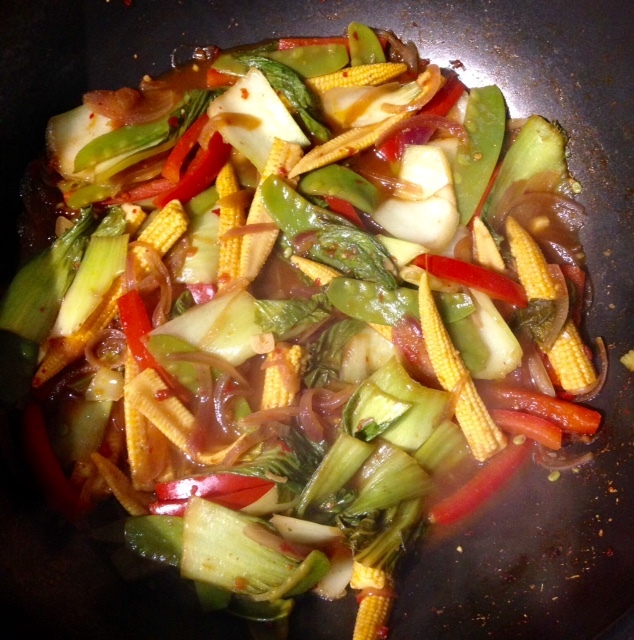 Once boiling, reduce the heat to a gentle simmer and cook for 15 minutes, stirring every so often. 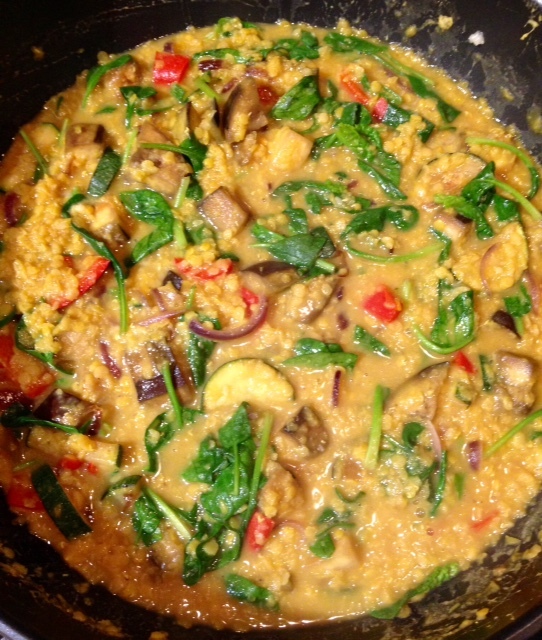 Add the cooked vegetables to the lentil mixture along with the fresh spinach and stir together. Simmer for 10 more minutes to ensure everything is cooked through and the spinach has wilted. While the lentil mix is cooking, take a small non-stick frying pan, spray with FryLight and allow to heat up. Once the pan is hot, add the cumin seeds and the black mustard seeds. After a short while on a high heat, they’ll start to pop and splutter in the pan. At that point, add the garam masala, ground cumin, ground coriander and jalapeno flakes and stir for about a minute. Add the spices into the lentil and vegetable mixture and stir them in. Add salt and pepper to taste and the dish is ready to eat. I have to admit that I’m a bit of a wimp when it comes to curries. Too much heat and my face turns an unflattering shade of purple and my nose starts to run uncontrollably. Not a good look especially on a lady of certain years! So that means I’m usually limited to mild curries although since I’ve been losing weight I’ve intentionally stayed away from them because a lot contain coconut milk which is delicious but lethal in the calorie and fat department. I fancied something other than a roast for our Sunday meal this weekend and finding a small jar of Thai red curry paste in the cupboard (not past its sell-by date, I hasten to add), I was inspired to create a “flexible” curry. What is this, I hear you ask? Well, in my house there are some foods I like and other foods my husband prefers so sometimes, although we always eat together, there may be different things on our plates. After 31 years of marriage, we compromise, and it works for us with minimal food wastage. Basically, a flexible curry is one that you can easily adapt during the cooking process. In this case, a vegetable curry becomes a prawn curry, or a chicken curry depending what you have to hand. I’m sure this is probably how a lot of restaurants do it but for me, it was the first time I’d really thought about it and it’s a really practical idea, especially if you’re cooking for a crowd and you don’t know their food preferences. I realised recently that a lot of my dishes are quite flexible – I seem to do it automatically these days. I should mention that a lot of Thai red curry pastes contain fish or shrimp extracts (the Bart Spices paste I used did) and therefore you need to check before using them if you are cooking for vegetarians. The good thing about the recipe below is that there aren’t many ingredients, it’s simple to make and it tastes great with just a little touch of heat to liven it up. You’ll see that I added a very small amount of sweetener to my curry but this is optional. I find that it takes the edge off the spices (I told you I was a wimp) but you may prefer to leave it out. 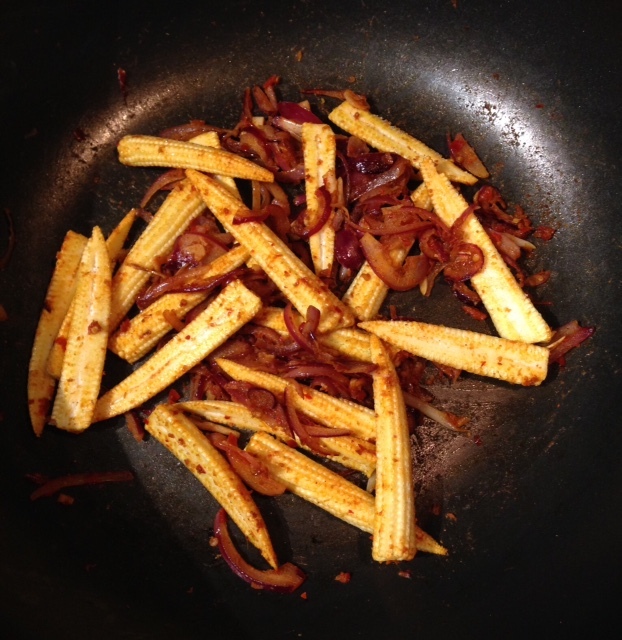 I used FryLight in my recipe as it’s a Slimming World member’s saviour when frying food but if you are not particularly diet conscious, feel free to use some oil instead if you prefer. 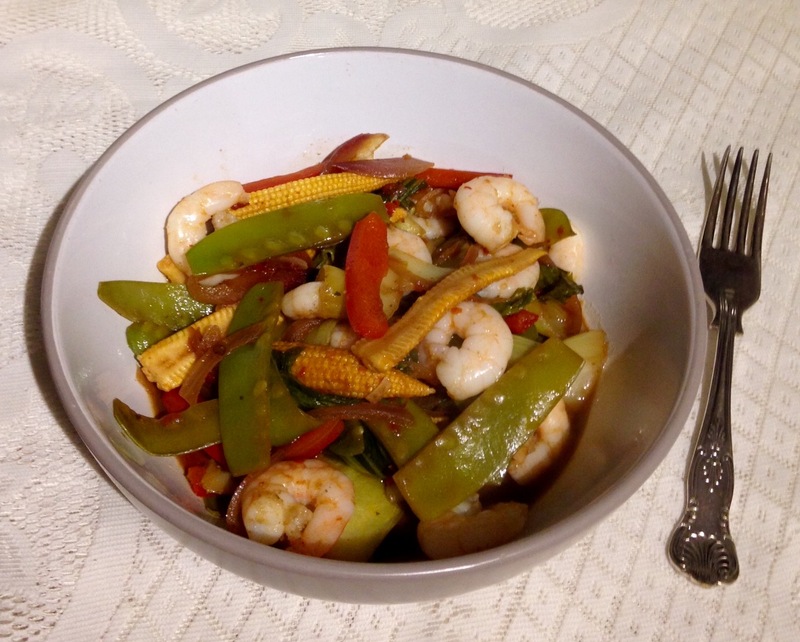 Note for Slimming World members: this recipe could feed 4 people or 2 very hungry people! Count 1/2 a Syn each for four people and 1 Syn each for two. Spray a large non-stick frying pan or wok with a thin coating of FryLight and place over a medium heat. 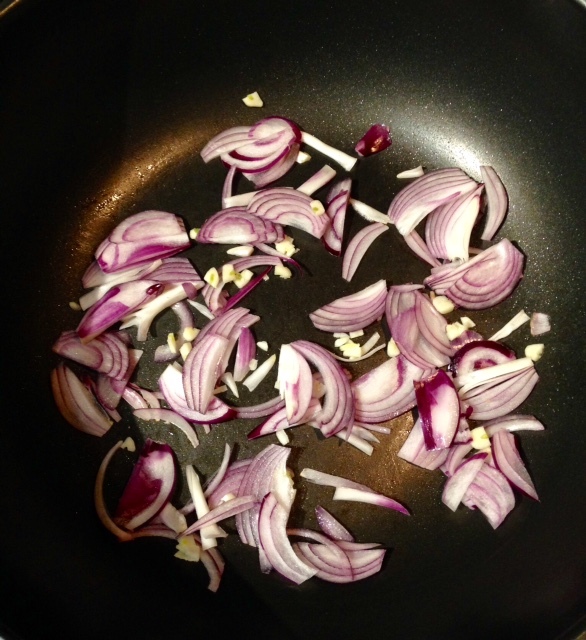 Add the garlic and onion and gently stir-fry for 3 – 4 minutes until softened. Stir in the Thai red curry paste and stir for a minute. Add the baby sweetcorn and stir it around until its coated in the sauce. 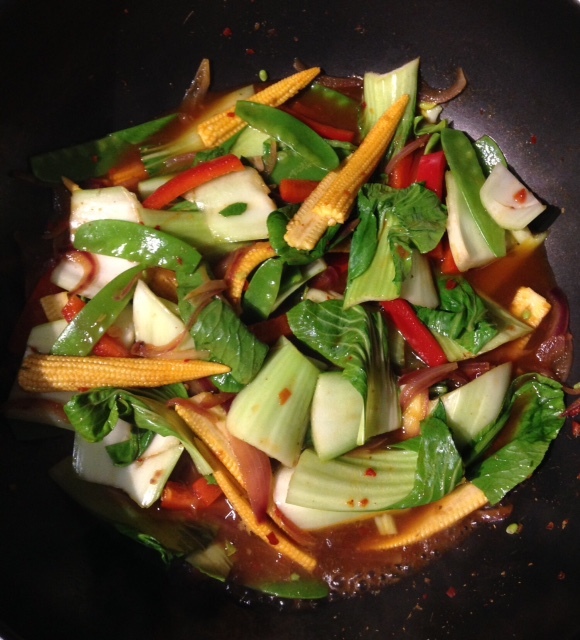 Slowly add the stock and soy sauce, bring to a simmer and cook for a minute then stir in the mange tout, red pepper and the pak choi. To make this dish “flexible”, at this point you could stir in some cooked prawns, chicken or any other meat of your choice. You could also add tofu but don’t stir too vigorously or it will disintegrate. Bring back to a simmer, cover and cook for about 5 minutes until the vegetables are just cooked (and the meat or tofu has heated through). The vegetables should still have a bit of bite. Serve with rice and a refreshing salad if you wish. I added cooked prawns to my portion just before serving as you can see. Let me know if you make this recipe – I’d love to know what you thought of it.